Khatia Dekanoidze says her former deputy is a "politically dependent person". 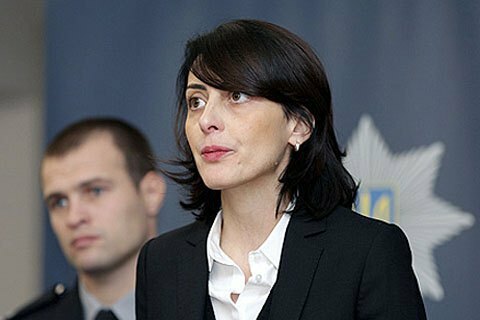 The Cabinet of Ministers has approved the dismissal of Khatia Dekanoidze from the post of head of the national police. A decision to this effect was made by the government on Wednesday, 16 November, national police spokesman Yaroslav Trakalo said. In the meantime, the government has approved Vadym Troyan as acting head of the national police. Khatia Dekanoidze on 14 November expressed scepticism when asked if Troyan could be appointed her successor on the post and described him as a "politically dependent person". Troyan was appointed first deputy head of the National Police of Ukraine in March 2016. After outbreak of war in Donbas he was the deputy commander of the Azov battalion. From October 2014 to March 2016 he headed first militia and then the police of Kyiv region.